It’s crunch time for Doritos, and we need you to turn up the heat. Doritos’ parent company Pepsi is still in business with palm oil companies that exploit workers and destroy the rainforests where orangutans live. You can expose the hot truth about Doritos before one of the biggest sporting events of the year: the Super Bowl -- and all you need to do it share this (pretty cool!) spoof video we made for the big game this Sunday. THIS WORKS. Last time SumOfUs crashed the Super Bowl, members like you reached over 20 MILLION people, forcing Pepsi back to the negotiating table. 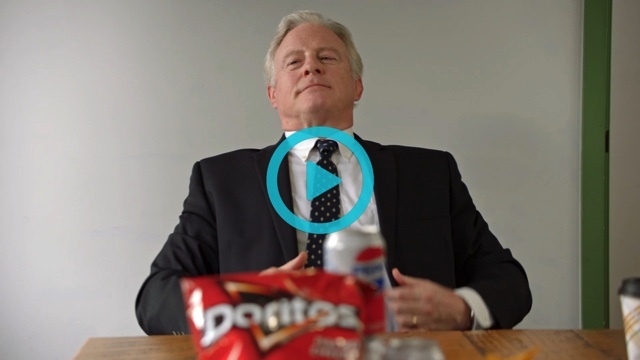 Click here to WATCH and SHARE our new... Doritos spoof video. Doritos spends millions on its cheesy Super Bowl commercial so it’s the perfect time for SumOfUs members like you to crash the party and expose the company’s dirty palm oil secret with a HOT spoof ad. We can’t let Doritos get away with greenwashing its complicity in destroying the orangutans’ rainforest homes for cheap palm oil. The Super Bowl is on Sunday, so watch and share the video now to force Doritos to cut conflict palm oil for good.